Yesterday, 14 March 2016, the Israeli military courts indicated how it will be dealing with the administrative detention boycott. 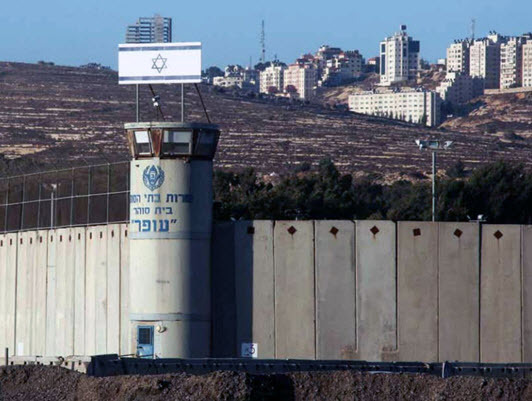 Rather than changing anything substantive about the process of administrative detention, it will simply seek to punish those involved with the aim of coercing them to cease their protest and accept the status quo. On 7 March 2018, there were to be two individual appeal hearings for administrative detention proceedings, that of Salah Ja’edi and Nawaf Sawarka. The military court judge had shortened the orders. In response, the military prosecutor sought an appeal with the aim of lengthening the time of detainment. In solidarity, both the individuals in question and their lawyer did not attend the hearing in the military court at Ofer Prison. This resulted in the judge postponing the hearing until 14 March, knowing that both administrative detention orders were to expire on 18 March. Again, the individuals in question and their lawyer refused to participate in the proceedings. In response, the judge stated that if Mahmoud Hassan, lawyer for Addameer, and his clients do not attend future hearings then Mahmoud will be referred to the Ethics committee of the Israeli Bar Association and fined. His clients will be brought to the court room, by force if necessary. Additionally, the individuals in question will be held until the conclusion of proceedings. Such moves represent a concerted effort to crush the boycott. The judge is, without a formal extension of administrative detention order, telling Salah and Nawaf that they will be detained until they attend their court session. In essence, their arbitrary detention will continue, potentially indefinitely, until they give up the boycott. Additionally, Mahmoud is being referred to the Ethics committee due to his commitment to opposing the illegal and immoral nature of the administrative detention as a general policy. What the judge, in this particular instance, is doing is extending the period of arbitrary detention without the following of a regular procedure. It represents the extension of an arbitrary detention as a punitive measure for protesting the illegality of your remand. The boycott of all court proceedings relating to administrative detention has been ongoing since 15 February 2018, when all organizations with lawyers representing cases released a joint statement with the prisoners. For the months of January and February, there were a total of 157 administrative detention orders issued. 104 of these were renewals of existing orders, which means that they were extensions on the initial period of detainment. New orders can be issued indefinitely. While there is a process of appeal, it provides no real recourse as the information on which the order is based remains ‘secret’. Addameer calls on the international community to take all available actions to hold Israel accountable for its violations of both international humanitarian law and human rights law. Equally as important, we call on all grassroots movements and activists to raise awareness about the issue of administrative detention. If information is required about specific issues, or cases, please contact us directly. ‘Opinion No. 86/2017 concerning Salem Badi Dardasawi (Israel)’, Human Rights Council: Working Group on Arbitrary Detention, 8 December 2017.